I've recently seen several articles about what shoes every man, or gentleman, should own and, although, some good points are made I couldn't quite fall in line with all the suggestions made. As I have a particular liking for shoes, and own a reasonable amount of them, I think I should put my views out there. First of all I would just like to say that I don't think you could ever have too many shoes as long as they are of a certain quality, but even one pair of poor quality shoes is one pair too many. The shoes are one of the first things I notice about a person, and I'm not the only one. A good pair of shoes can lift an average outfit or be the ideal finish for the perfect attire. On the other hand, the most expensive suit couldn't improve a pair of poor quality shoes. If you think quality shoes are expensive you should look at it as an investment, they last longer, they will boost your confidence, and I truly believe people will look at you in a more favourable light. You also don't need to have that many, you could mostly get away with owning no more than half a dozen pairs. Below are my thoughts on what shoes any gentleman's wardrobe should contain. This is the most important part of any gentleman's wardrobe and at least two pairs are necessary. These are the shoes you will wear with suits and could easily be worn on a daily basis and, therefore, I think it is important to have more than one pair. There are, of course, many different options here but for me it's the brogues that matter. Oxford or Derby brogues are what I wear most days and I believe a few pairs of brogues are the absolute gentleman essential. The first pair you buy should be black as they are the most versatile and can be worn with almost anything. The other pair should be brown. Brown may not be quite such an allrounder as the black, but brown can also be worn with a large variety of suits and personally I think brown works very well with any blue/navy suit. Below I've included two different pairs which I'm sure would serve the most discerning gentleman well, but the variety is huge, so browse around and find the shoes which fit your budget and taste the best. Brown Derby brogues by British shoe makers Edward Green. Hand made from the finest calf leathers and finally hand polished into a deep, burnished finish that only improves with time. You can't go wrong with a pair of shoes like these. 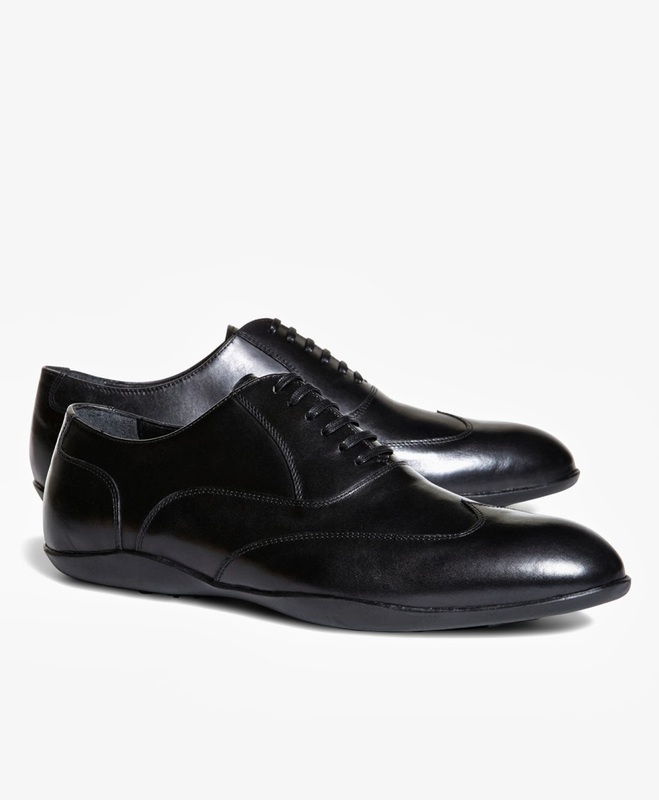 Black Oxford brogues made from Cordovan leather. A nice pair of wingtip cordovan brogues. On occasion it could be appropriate to wear something slightly less formal. There is, however, no reason for your style to be compromised for that reason, as the two examples below show. 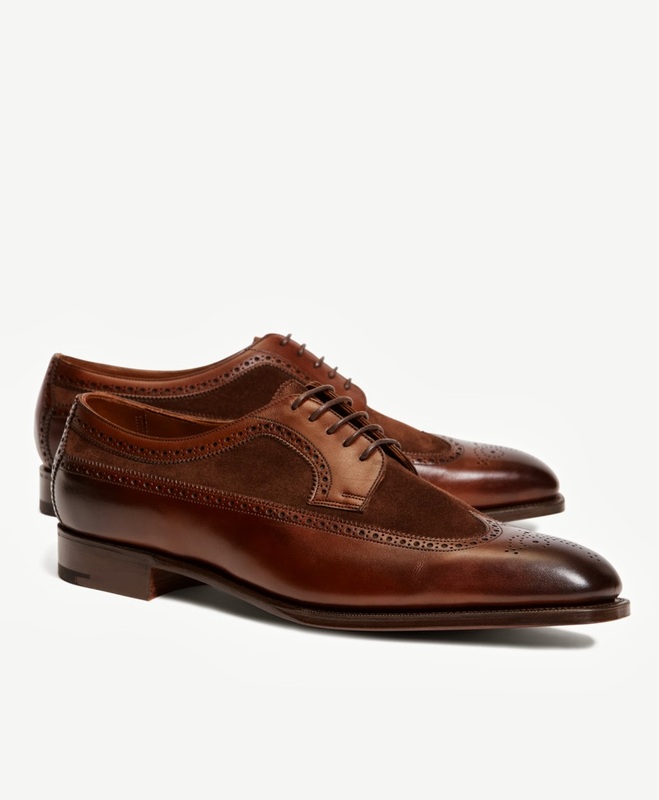 These shoes could be worn with suits but would probably work best with a pair of chinos, jeans, or other nice trousers. 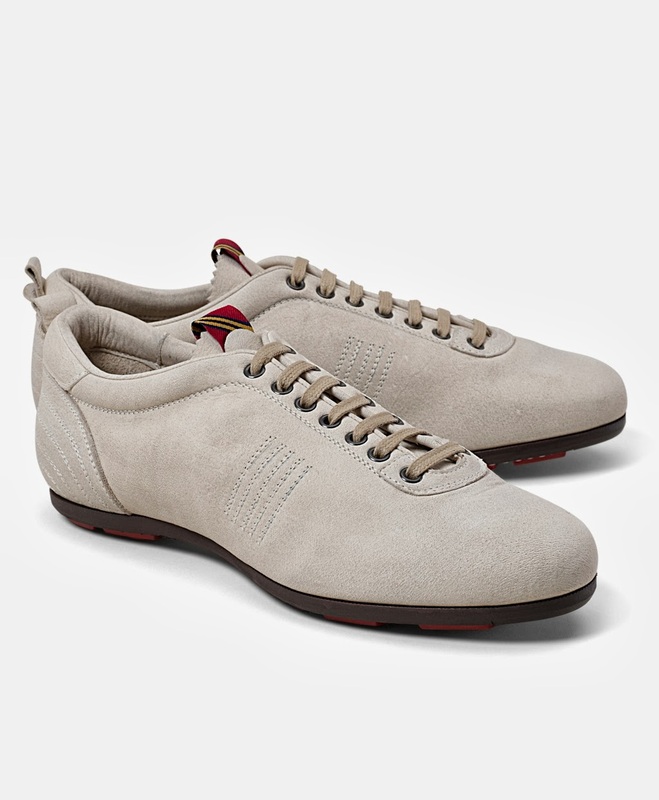 The first pair from Harrys of London is a magnificent example of how a pair of shoes can look very stylish, almost formal, but still with a casual slightly sporty touch. 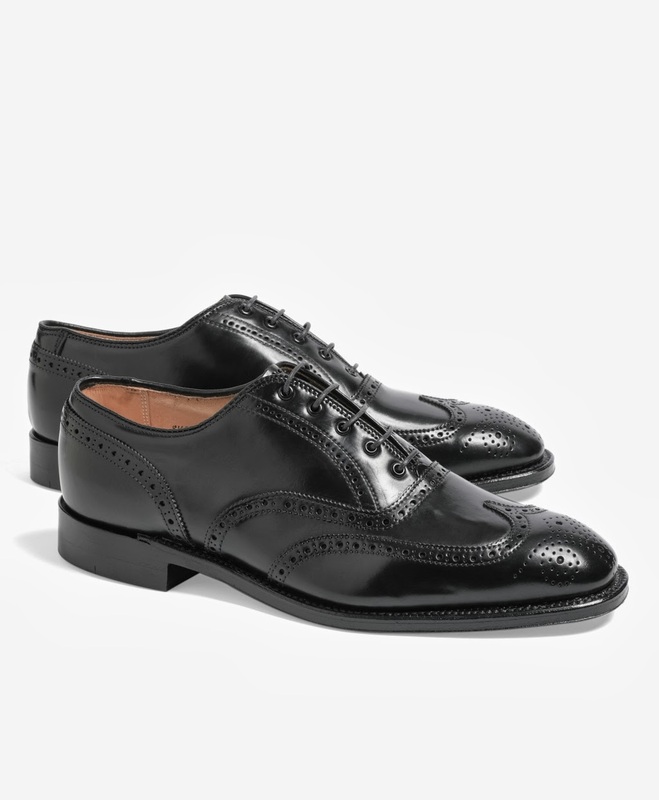 While the formal is retained with the Oxford wing tip design, the flat rubber sole make the shoes look more casual. 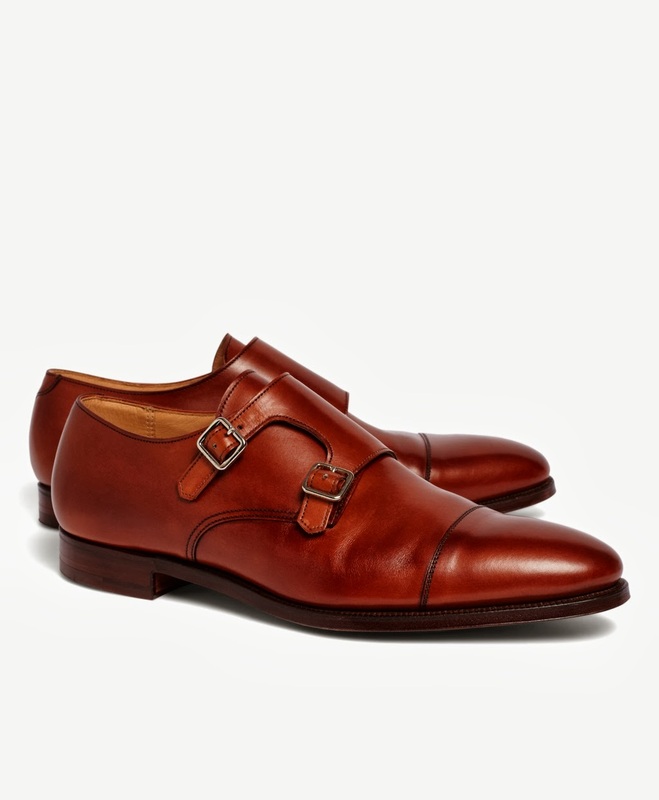 Another alternative for a smart casual shoe is the monk strap. A pair of double buckle monk straps as these from Peal & Co works very well for the smart casual look. than the Oxford or Derby brogues. A pair of boots is important to have for the cold season. Boots come in a huge variety of shapes and sizes but style often seems to be compromised by their other qualities. This is a shame though, as one should be able to dress well also when the weather is bad. However, there are quite a few stylish boots available and I think the three pairs below are very good examples of this. The first pair from Edward Green is absolutely stunning. The combination of calfskin leather and suede is beautiful and I also like the combination of eyelets and hooks on a boot. These are boots with all the qualities of formal shoes and are definitely high up on the list of shoes I would like to get. 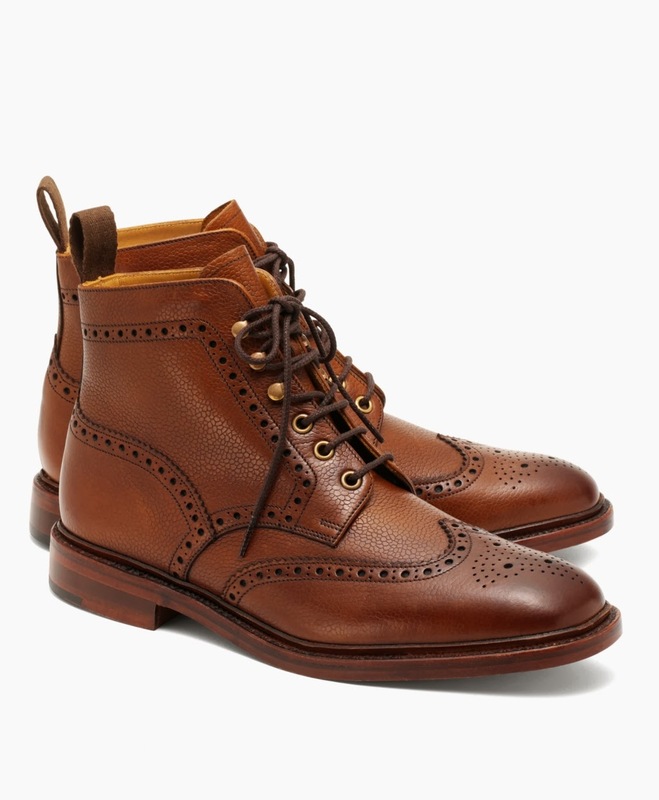 of boots than these from Edward Green. 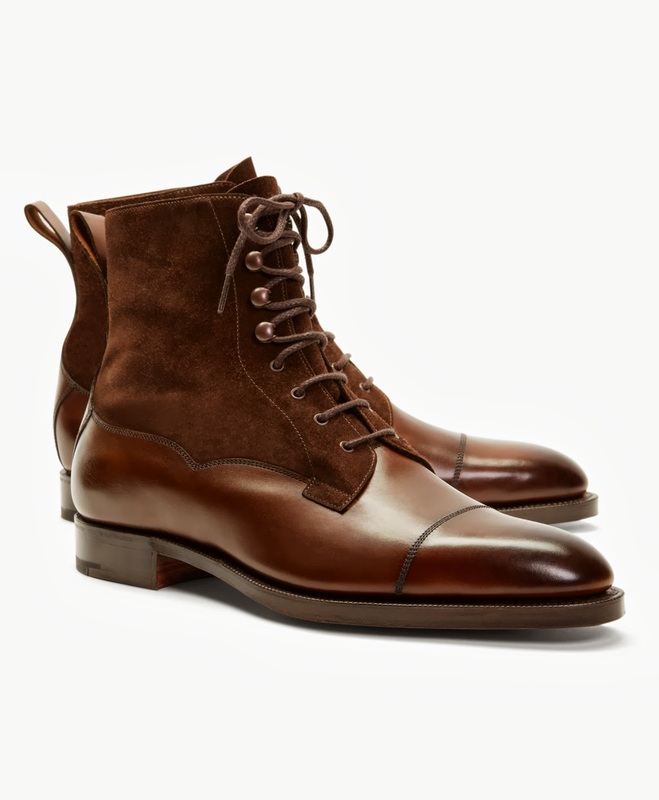 For the less for formal, rougher look, these boots from Peal & Co may be a very good choice. The brogue wing tip desing makes this a stylis pair of boots. may be a good choice. Another suggestion could be the Corvari boots I just bought. You can read more about them here. Some lighter shoes for the hotter days are useful to have. These are shoes which could be worn with a linen suit, with shorts or any other light clothing. Two of my favourites for this kind of wear are found below. I am generally not a big fan of loafers and I wouldn't wear them on any other occasion, but as summer shoes, suede loafers are my preferred choice. They are stylish and comfortable and can even be worn without socks. This pair from Harrys of London is a good example of a nice pair of suede loafers for the hotter days. 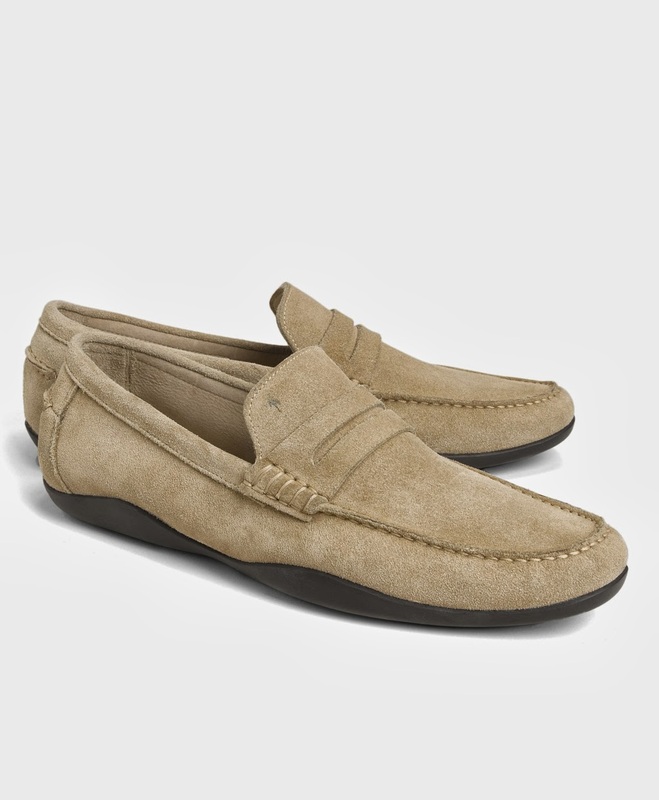 Suede loafers is a good choice for the casual summer look. 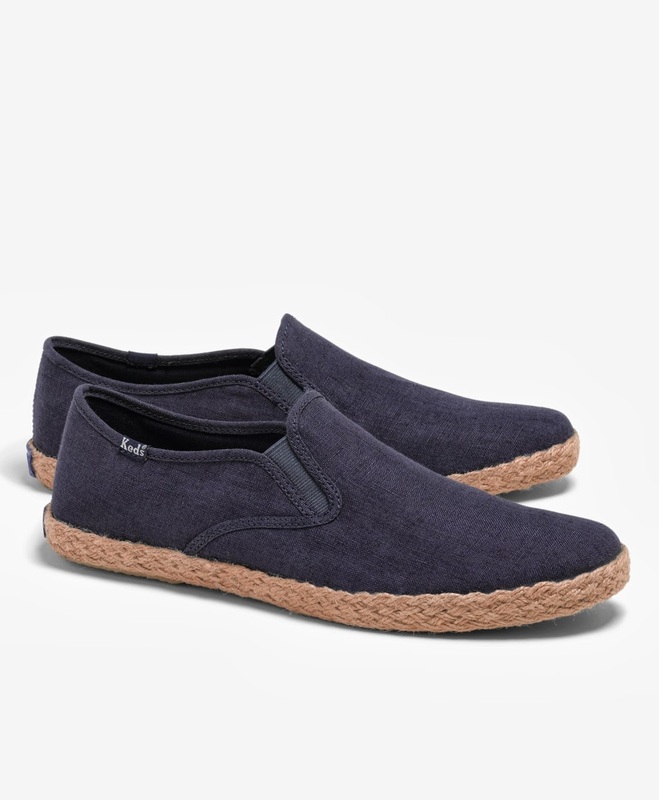 Another very comfortable choice for summer may be a pair of espadrilles. These espadrilles made by Keds, for Brooks Brothers, could work very well as summer shoes. Informal while still stylish in combination with the right outfit. A nice pair of espadrilles for the hot season. I don't really see this as must for a gentleman's shoe collection but I have still included two examples of more sporty looking shoes which are quite stylish. 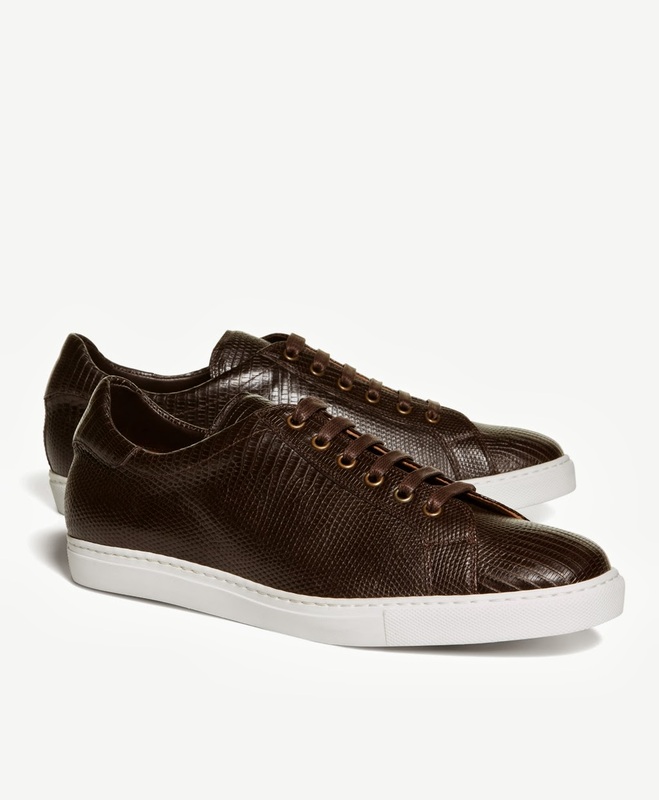 Both the lizard skin sneakers and the Pantofola d'Oro shoes below are very stylish and sporty shoes. Stylish and sporty lizard skin sneakers. A nice pair of sporty Italian Pantofola d'Oro shoes. A pair of Swims (or other galoshes) is a necessity for any gentleman. Galoshes will protect your shoes, especially your leather soles, on days with rain, sleet, slush or other wintery conditions. If you care about your shoes and want them to last, I recommend wearing Swims on bad weather days. Read more about galoshes in this earlier post. A pair of Swims is a must for any gentleman. The above has been some of my thoughts about what a gentleman's shoe collection should contain. Ideally you should have all of these and many more but if you are just starting out and wonder where to begin and what the absolute minimum is, I would suggest the following. Firstly, get two pairs of formal shoes (black and brown), then get a pair boots for the colder days and a pair of suede loafers for the summer season. 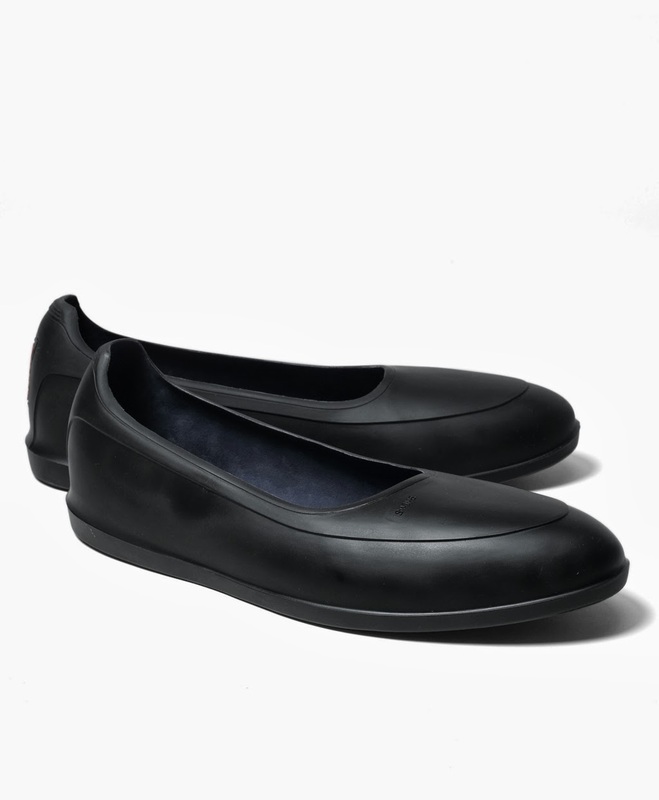 At last, buy a pair of galoshes to protect your precious shoes when that is needed.